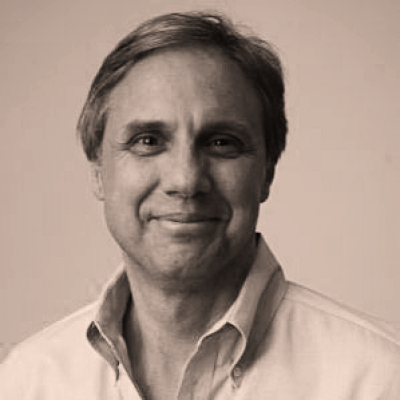 EXECUTIVE COACH -- Erik Mazziotta is a leadership consultant and executive coach with strong business acumen and expertise in strategic planning, leading change and enterprise management. He specializes in leadership development, team performance and long term coaching programs. His work includes a wide range of companies from Fortune 50 corporations to non-profit organizations working with individuals from the C-suite to high potential leaders. Erik uses an integrative approach to leader development that is both pragmatic and transformative. This approach includes expanding self-awareness for adaptability, increasing emotional intelligence for effective engagement, establishing disciplined practices for sustainability and building execution skills for excellence in achievement. Clients report that this approach provides them with a framework to act with greater fluency to address the demands of their professional roles and personal life long after the development work is complete. During a 24-year career with Citibank, Erik held a variety of consumer banking management positions in the United States and Latin America. He focused on strategic planning, new business development and business turnarounds. Erik culminated his business career with roles as CFO in Venezuela and CEO in Panama. Organizational Development, Leadership Development, Change Management, Strategic Planning, and Executive Coaching. Erik is certified in a variety of individual and organizational assessment instruments, including The Leadership Circle 360 Assessment, the MBTI, DiSC, Hogan, LSI, and Action Learning. Erik received his B.S. degree from Cornell University in Industrial and Labor Relations. After his corporate career, he conducted extensive studies in leadership, personal mastery and coaching. Over the last 10 years, Erik has worked internationally with a wide range of companies including Boeing, Citibank, Google, Chevy Chase Bank, Honda, Lockheed Martin, Microsoft, Monadnock Hospital, Shell, Yahoo! and others, building organizational and individual leadership capabilities. Design and Deliver 6 to 24 month development programs for hi-potential leaders from early career to senior managers. Focused on stimulating transformational shifts in leader self-awareness, interpersonal engagement and execution. Created an "Integrative Leadership" approach that helps leaders act with greater agility and capacity to respond to the complexity of today's business challenges. Coaching high impact individuals from hi-potential to C-suite leaders. Executive/Senior Team Development through facilitated discussion of business issues, team next steps and individual leadership development. Often supported through coaching of team leader. Leadership development and team building programs include physical, emotional and mental conditioning modules to build resilience to stress. Integration of professional and personal life priorities.